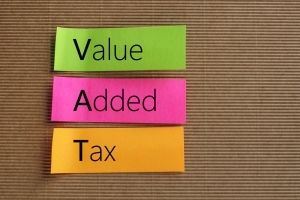 What is flat rate VAT and have the rules changed? The flat rate VAT scheme lets a business reduce the amount of VAT it pays on its sales but means it can’t reclaim any VAT on its costs. The flat rate scheme is most effective for labour intensive businesses who spend little on goods such as IT contractors, hairdressers and trademen whose raw materials are provided by the main contractor. Your customers will not be affected by the flat rate scheme, you will still charge them 20% on your invoices. If you issue an invoice for a net price of £100 you still add £20 of VAT (20%) to the invoice and charge a total of £120. If you are in the flat rate VAT scheme you do not pay the £20 VAT charged to the customer to HMRC, you pay a percentage of the full invoice total of £120. If your flat rate percentage was 11 % you will pay 11% of the £120 invoice to HMRC. This equates to £120 x 11% = £13.20, a saving of £6.80 on the £20 VAT you charged to the customer. So for every £100 you invoice you save £6.80 but you can’t reclaim the VAT on any of your purchases. The flat rate percentage you pay depends on the industry you are in and whether you are a “Limited Cost Trader”. What is a Limited Cost Trader for Flat Rate VAT? In April 2017 the rules changed meaning that if you are a ‘Limited Cost Trader’ you will pay a flat rate percentage of 16.5%. If your annual turnover is more than £50,000 a year you are classed as a Limited cost trader if your goods cost less than 2% of your annual turnover. Only goods count and capital expenditure, services and travel expenses are excluded from this total. If you are a Limited Cost Trader your fixed rate VAT amount is 16.5%. Therefore if you charge a customer £120, including £20 of VAT you will pay 16.5% of the £120 invoice to HMRC. This equates to £120 x 16.5% = £19.80, a saving of just 20p on the £20 VAT you charged to the customer. Therefore you save just 20p for every £100 you invoice but can’t reclaim any VAT on your purchases. The introduction of Limited Cost Trader rules makes the flat rate scheme much less attractive as the saving can be low. This is because HMRC wants the scheme to be used to ease the admin burden of calculating VAT returns rather than as a saving money tactic. If you don’t fall into the Limited Cost Trader bracket you could pay a lower flat rate of VAT depending on your industry. However, if you are not classed as a Limited Cost Trader your costs must be greater than 2% of your turnover or £1,000, so you could be missing out on reclaiming a considerable amount of VAT on your purchases if you opted for the flat rate scheme. If you have previously been in the flat rate scheme and paying a VAT of lower than 16.5% you need to check you aren’t caught out by the Limited Cost Trader rules changes as you will be liable for any underpayment of VAT and could be fined. 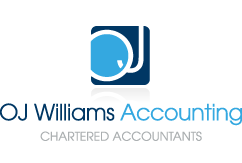 We will be able to review your situation to ensure that you still operating within the HMRC rules.